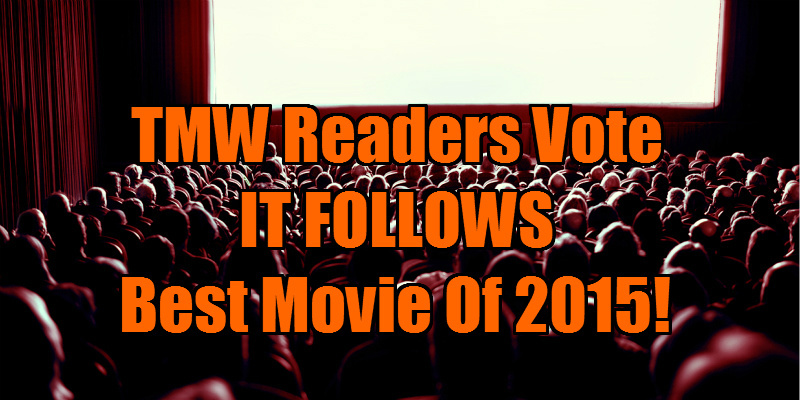 TMW Readers Vote IT FOLLOWS Best Movie Of 2015! Our readers exercised their democratic right and voted for their favourite movie of 2015. David Robert Mitchell breathed new life into the teen horror genre with It Follows, and our readers appreciated his work, with 24% of you voting for his movie, making it the highest ranked movie in the poll. We were huge fans of It Follows here at TMW too; you can read our review here. Rounding out the top five were Mommy, Spring, The Duke of Burgundy (all with 12% of the vote) and Tangerine (5%).